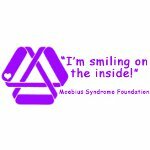 January 24 is Moebius Syndrome Awareness Day. This event is observed globally on the birth date of Professor Paul Julius Moebius, who was first to describe and diagnose the condition. Paul Julius Moebius described Moebius syndrome in 1888. This is a very rare neurological disorder that is characterized by lack of facial expression and inability to move eyes from side to side. People with Moebius syndrome have difficulties in communication with others, because they can't show their emotions. They are born with normal intelligence, but their lack of facial expressions can be taken as dullness. The syndrome was described long time ago, but even today the doctors can not find the reasons that cause it. There treatment of the syndrome is in accordance with symptoms and it's aimed only to support the development of a child. Moebius Syndrome Awareness Day was created to raise awareness of people about this rare condition and educate others about it. The participants of observation are encouraged to wear purple clothes as a symbol of awareness of the disease.